Growing up to 17,000 plants 365 days a year for Sprung employees and local restaurants. 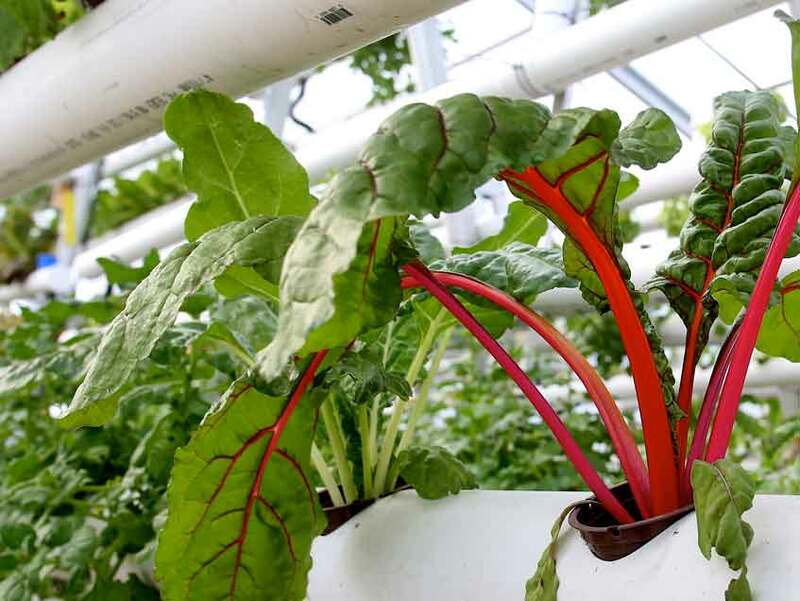 Organic vegetables that are locally grown and free of pesticides in a year round greenhouse. Sprung’s highly translucent membrane provides diffused lighting for optimal growing conditions. Sprung's Greenhouse Membrane is backed by a 10 year membrane guarantee. Minimal air loss combines with solar gain, and passive solar technologies to dramatically reduce energy costs. Sprung structures are available in widths from 30’ to 200’ wide by any length. 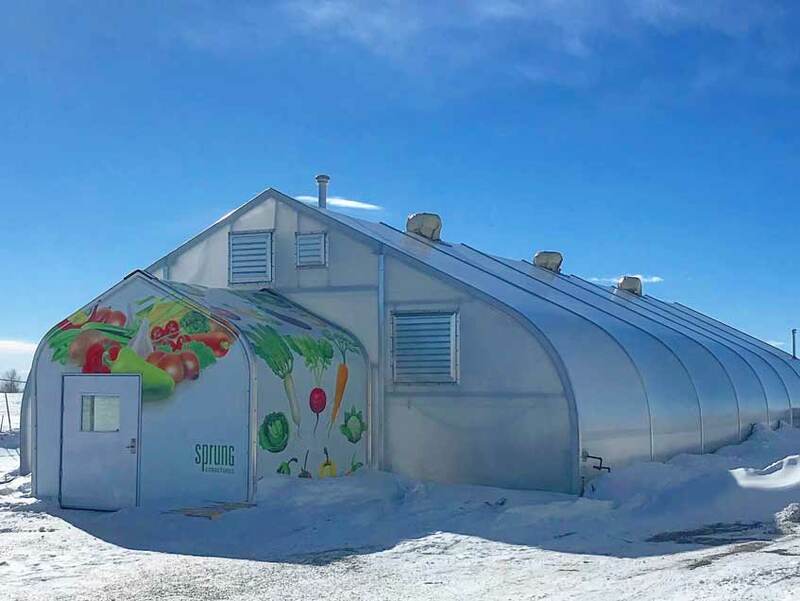 ARK – Agro Resiliency Kit is an alliance of Sprung who operate the 4,200 sq m on-site greenhouse. 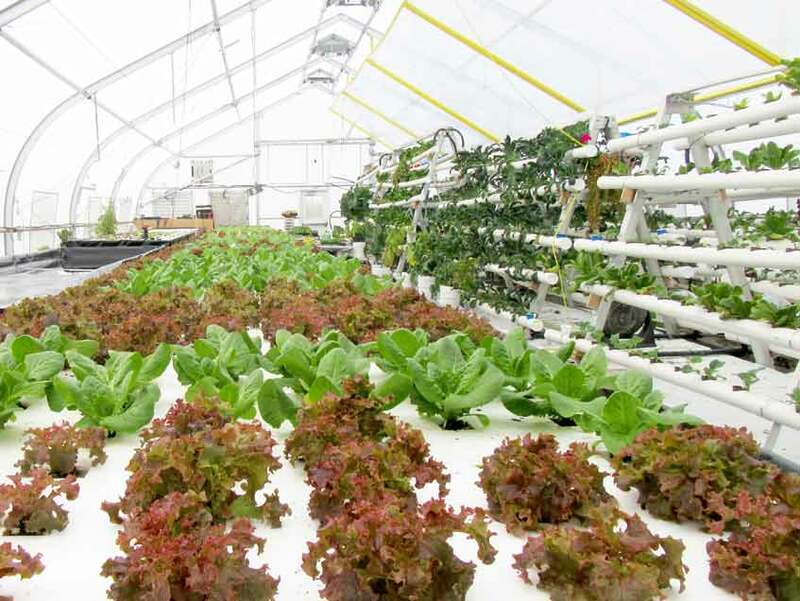 Growing up to 17,000 plants 365 days a year for Sprung employees and local restaurants. 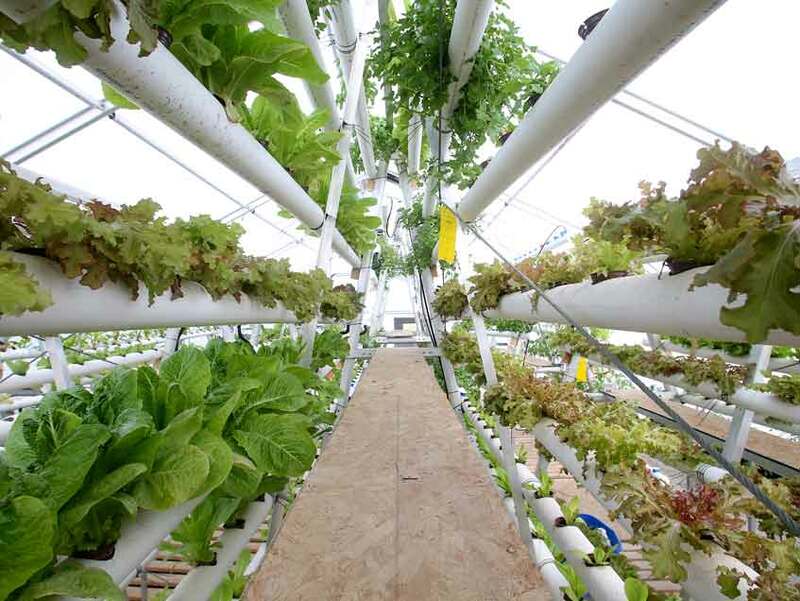 Organic vegetables that are locally grown and free of pesticides in a year round Greenhouse. The construction method allows for faster assembly times with lower initial investments. 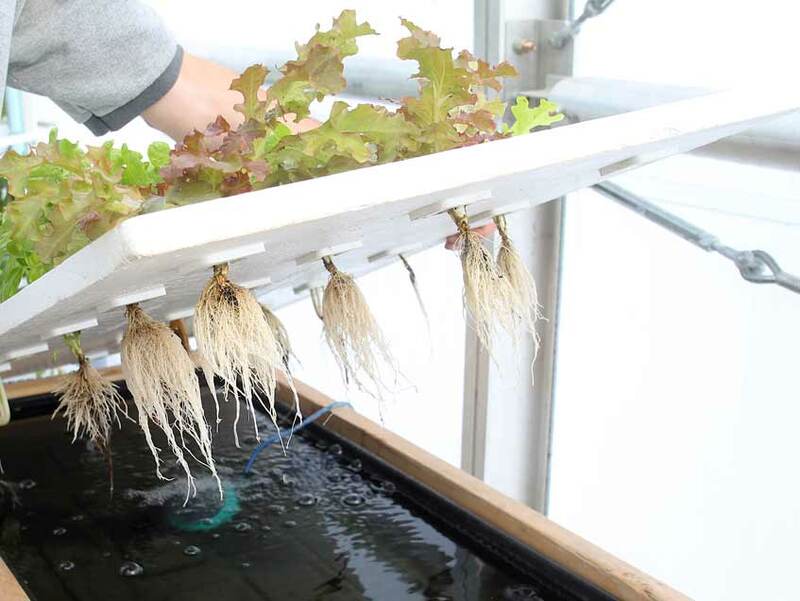 For customers seeking an alternative solution to conventional greenhouses, ARK is offering comprehensive growing solutions utilizing hydroponics and aquaponics all under a Sprung Greenhouse. Sprung structures are available in widths from 30’ to 200’ wide by any length, and engineered to accelerate construction, lower project costs and reduce operating expenses. A wide variety of doors and cargo doors available. 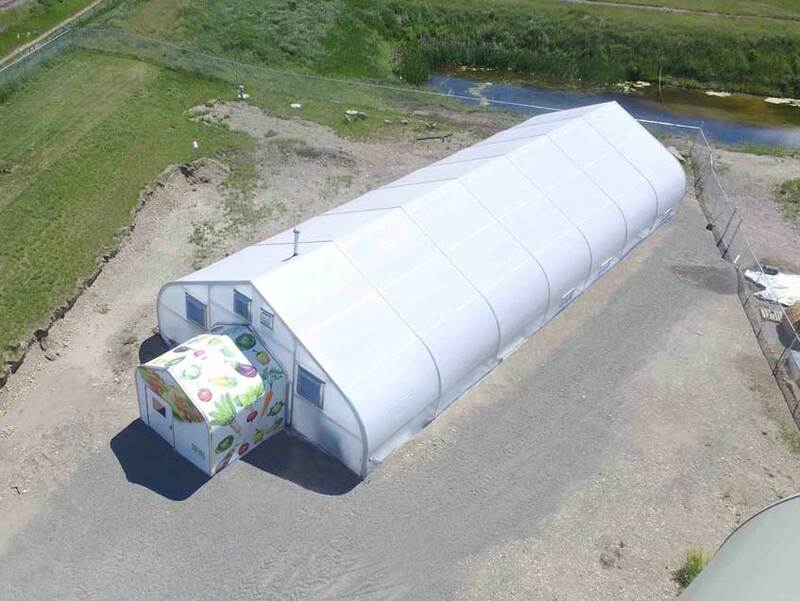 Sprung tensioned fabric structures provide a completely customizable and fast solution for the growing spaces industry. Leasing programs are also available from 1 to 5 years.